The medical and recreational use of marijuana is increasing globally, and its effects on drivers can — like alcohol — be devastating, as the drug influences the cognitive abilities of drivers, as much as alcohol does. According to the United Nations Office on Drugs and Crime, cannabis users in 2016 were 192 million worldwide, a number that has increased by 16 percent in the decade from 2006 to 2016. While Uruguay and Canada are the only two countries where it is legal to produce, sell, and consume medical and recreational marijuana, its recreational use has been totally legalized in 10 US states, plus the District of Columbia. Such an increase might nonetheless lead to dramatic consequences. Indeed, just last month, an entire Israeli family of eight was killed in a car accident on Route 90, which was allegedly caused by another driver under the influence of marijuana. 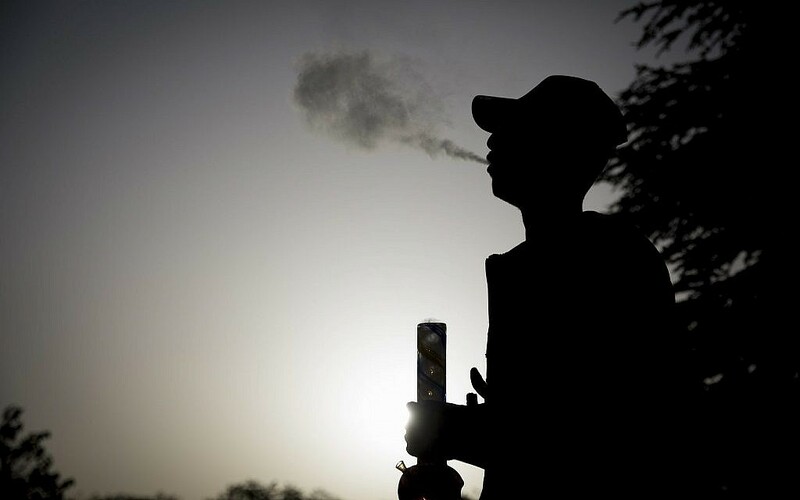 According to the United Nations Office on Drugs and Crime, cannabis users in 2016 were 192 million worldwide, a number that has increased by 16 percent in the decade from 2006 to 2016. While Uruguay and Canada are the only two countries where it is legal to produce, sell, and consume medical and recreational marijuana, its recreational use has been totally legalized in 10 US states, plus the District of Columbia. Such an increase might nonetheless lead to dramatic consequences. 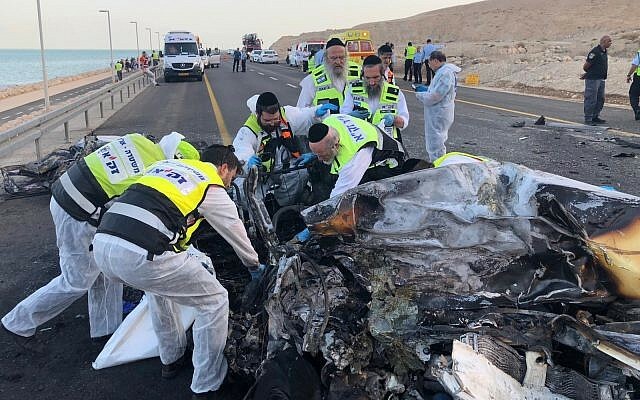 Indeed, just last month, an entire Israeli family of eight was killed in a car accident on Route 90, which was allegedly caused by another driver under the influence of marijuana. “Marijuana affects the body in a different manner to the way alcohol does,” COO Isaac Hassan told The Times of Israel at the company’s headquarters in Jerusalem. He explained that the elements of marijuana affect the fat content rather than the water in our body — which is the effect of alcohol, so that each person reacts in a different manner. What is the same for all though is the narcosis, which “affects the cognitive element of the brain,” he said. Hassan underlined that the market of marijuana has been completely deregulated in places like Canada, adding that its consumption is illegal only over certain limits, as is the case of alcohol. To detect THC — the chemical substance responsible for most marijuana’s psychological effects, Otorize’s CEO and CTO Andres Kukawka explained that Canadian police officers are using a saliva test that might indeed reveal that a person smoked a couple of hours before the test was taken. However, the test cannot be used on a wide scale because it is expensive — at some $25 per test — and police officers are instructed to use it only if they are certain the user has smoked, according to Hassan. The test’s usefulness is also limited, Kukawka said, because, in contrast to the Blood Alcohol Test, it reveals the suspect has smoked recently, but cannot say if a person is over the limit or not, because residual levels are “very individual,” making it hard for authorities to declare if a person is impaired or not. “Cannabis, and drugs in general, challenge the paradigm of testing for a limit,” Kukawka added. For this reason, “in all the states (in the US) that legalized marijuana, the number of arrests rose, the number of trials rose, but the number of convictions stayed the same,” Kukawka said. Cognitive impairment — a reduction of cognitive abilities and skills — is caused by the narcotic effect that substances like alcohol, marijuana, drugs, and even medications induce in people, Kurawka said. Narcosis affects our brain and our ability to react and make the decisions we would not make if we were lucid. Its effect differs from the physical incapacity we may suffer while driving, caused by the necessity to vomit after a hangover, for example, or by tiredness. When we are tired, for example the person’s cognitive ability is still present. “You can be very tired, but when you need to do something,” like driving for example “your body will pump adrenaline and you wake up for a period of time,” he said. But adrenaline on fatigue works only when someone is not impaired, or is not under the effects of narcosis, he said. The test can be easily done by using the smartphone app developed by the firm, as Hassan demonstrated to this reporter. Two black lines of different lengths come up from the top to the bottom of the screen. Then, in a fraction of second, the two lines become the same length and the user gets asked the question: “Which line was longer — or shorter?” To pass the test, the user needs to touch the correct line. Results take no more than a few seconds to come out, telling users if they are good to go, or should not drive, but take a taxi or call a friend. To make sure that the test is personalized to the users’ reaction speed, when people first download the app, they are asked to take a test which lasts about seven minutes, in which they are asked the same question 50 times. An algorithm measures the correct answers over a period of time, and then analyzes what the baseline response time is, “so when you answer, we know how quickly to show it (the lines) to you,” Hassan said. Hassan, who tried the test himself during the interview, had a baseline speed of some 250 milliseconds. That speed was obviously too fast for this reporter, who took Hassan’s test, and failed it, coming across as possibly high or drunk. Failing the test, however, does not always mean (as in this reporter’s case) that a person is drunk or high. So, if users fail the test, but know they are sober, they should just take it again, said Kukawka, who explained that the test can be taken every five or 15 minutes, until users pass. Kukawka said that Otorize is looking to work either with insurance companies, which would commit to insure their clients only if they take the test every time they enter their cars, since the test “only takes 5 to 7 seconds.” Other customers could be fleet managers, who can ask their drivers to use the app before getting behind the wheel. The app would be connected via Bluetooth to the car’s immobilizer, so that the people who fail the test or do not comply to the rules will not be allowed to drive, Kukawka said. He added that alternatively, Otorize could work with car manufacturers to have Otorize’s system built-in. Kukawka got the idea for the app in January 2015, when he turned on his car radio and heard a report about how many people in Israel had been arrested for drunk driving and for driving over the limit on the weekend of New Years’ Eve. He was “blown away,” he said. He called his friend Hassan, and they together decided it was time to tackle the problem of impaired driving. “A startup comes from two main things: one is the idea that makes gold out of sand, and the other is a need,” Kukawka said. “You hear something and you say I need to fix this, and that’s why Otorize was born,” he added. Around 10,500 people are killed in the US every year because of drunk drivers, which in 2016 accounted for “28 percent of all traffic-related deaths in the United States,” a report by the Centers for Disease Control and Prevention (CDC) states. Also, the report says that in 2016, 17% of the traffic deaths of children aged 0-14 involved an alcohol-impaired driver. When Kukawka and Hassan started looking for solutions to the problem, they found that the tools available to police are limited: they either ask drivers to lift a knee or walk a straight line, or use a breathalyzer test, which allows to measure just the blood alcohol level. This method has been used for many years and widely across the world, but it includes evident loopholes, said Kukawka, explaining that, in all 50 states of the US but Arizona, a blood alcohol concentration equal to 0.08 percent or higher is illegal. However, this does not mean that people with a concentration lower than that are necessarily qualified to drive. There are “thousands of legally-drunk drivers in the US and Canada,” he said. “What we say is, forget about legal limits,” he said, with “impairment” being the key word. “Is the individual impaired or not? If he or she are impaired they shouldn’t drive,” he said. The two entrepreneurs built a very basic first product and tried it out on drinkers at a Jerusalem pub. “We did two nights of drinks,” Hassan said, explaining that they offered drinks to around 200 people, a mix of locals and foreigners, provided that they would take the test before and after drinking. At that specific moment when the test was taken, those people impaired to drive, he said. This means that they should wait at least half an hour before getting behind the wheel, eat something, or drink two glasses of water, he said. The solution they came up with does not measure what substance and how much of it is in one’s body, but rather if cognitive ability is still at work. In spite of being in contact with different Israeli authorities, the two entrepreneurs said that, due bureaucratic complications, they decided to carry out new trials in other countries. “We just started a trial last week with the Royal Gibraltar Police,” said Hassan, who is originally from Gibraltar. The test will establish if the police officers are able, and not impaired, to perform their tasks in a safe manner. Kukawka said the company hopes other rescue workers — like firefighters, ambulance drivers and medics, would also join the pilot study there. Increasing road safety is Otorize’s main objective, but the app could also be used by companies to check that their employees do not go to work under the effect of either alcohol or drugs, especially in particularly sensitive fields like working with children or at nuclear facilities. “People could pass the fingerprint test and the eye-scan test, but what if they’re drunk? Do we want them in there? No,” he said. The firm is also in talks with a number of commercial companies in the UK and the US, Hassan said, as well as talking to potential investors in different parts of the world. “There is a lot of interest because there is no other solution out there at the moment,” he said. The company was founded two years ago, but Kukawka and Hassan — with a background respectively in the information technology industry and business, have known each other for the past six years, and have worked together on a number of other projects before starting the company. The company has raised seed-funding by an angel investor from Colorado, the two founders said, adding that they put a fair amount of money into the project as well. The startup won the pitch at the 2018 CannaTech Conference — an annual event series focusing on the innovative uses of medical marijuana — held in Tel Aviv in March. Otorize’s app — still a BETA version — is available today on the Android’s store, and the team is working on the Apple version as well, Hassan said. They expect to commercialize the app in about three months, if they receive enough funds. “It’s an app whose time has come. It’s something that is going to become the thing to have, because at the end of the day we all want people to drive safely,” Hassan said.